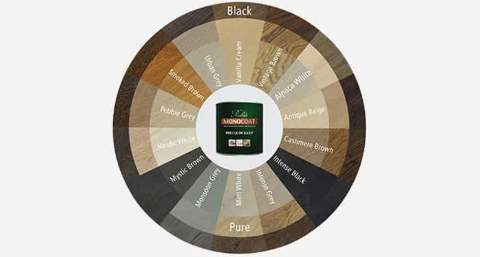 In last month’s blog post, we went into great detail about choosing stain colors. If you haven’t seen that post yet you can read it here . 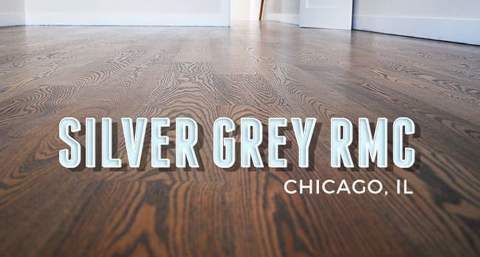 One of the hardest decisions you may have to make when it comes to your hardwood floors is choosing the color you will eventually stain them. This is an important decision because you will have to live with your choice for a long time. If you’ve followed the advice from last month’s post, you’ve probably narrowed your choice down to 2 or 3 of your favorite colors. 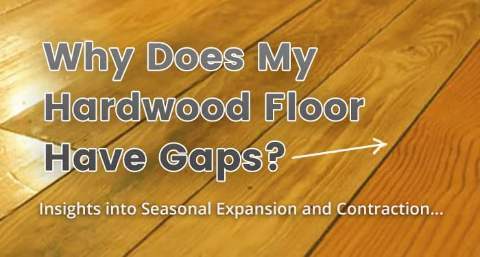 So, this month we’ll show you the steps we can help you go through to finally decide on a color that you’ll be completely 100% happy with for your hardwood floors. What’s with the Small Stain Samples??? One of the biggest complaints we used to hear when helping people choose a stain color was that the samples are far too small. And you know what? They were right. 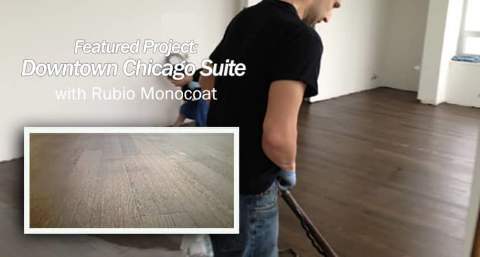 Most stain samples are no more than a few square inches… if that. 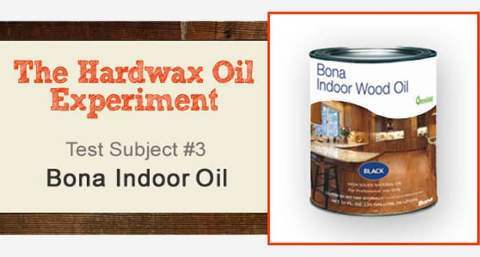 How on earth could you get a good idea of how it would look on your hardwood floors from such a tiny sample? 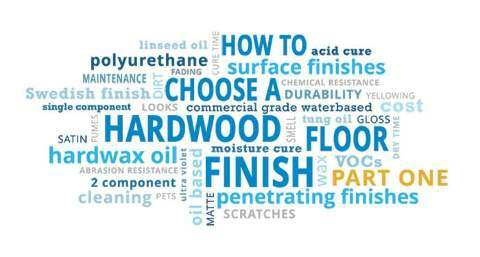 So to address this frustrating issue, we decided to make things much easier for you by assembling some much bigger stain samples on sections of actual hardwood flooring as you can see in the image below. 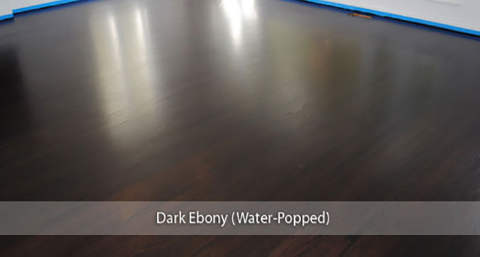 They have also been coated with one of our finish systems so you can see exactly how the color will look on the floor once finished. 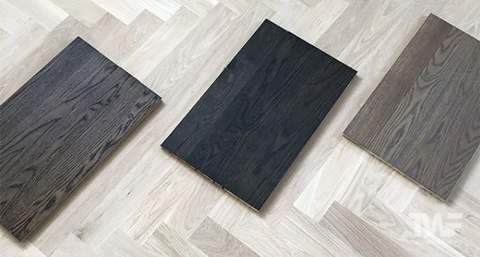 Now you can put them these larger samples on your floor, step back and get a much better idea of how your entire floor will look. 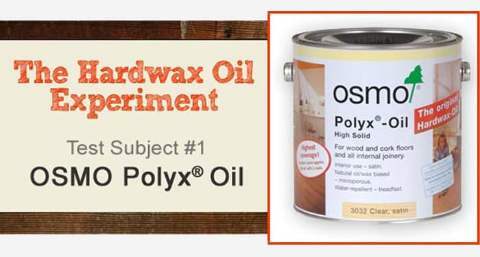 We suggest that our clients give our large stain sample boards a test run for a few days in their homes. This will help you to see the 2 or 3 colors you’re having trouble deciding on in different lights – in the morning, during the afternoon and in the evening under artificial light. You may love one particular color in the bright morning light but after a few days of living with the sample board decide that it makes the room far too dark in the evening. We also suggest moving the sample boards around the rooms to different locations. 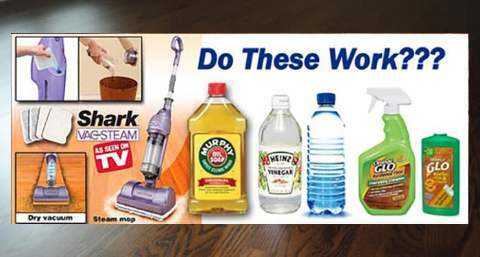 Put them up close to your furniture to get an idea of how they work together. Does one color look better with other wood pieces of furniture more than the others? 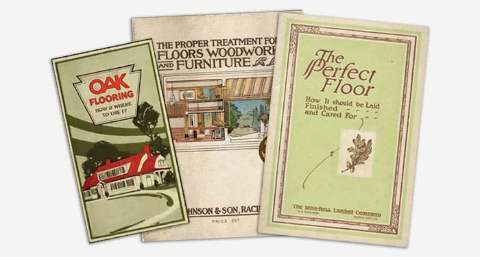 How does each sample look with your rugs and sofa? 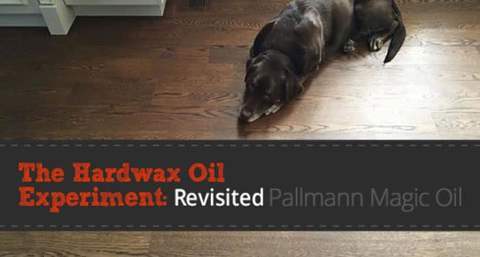 Think about the ambiance of the room you’re hoping to obtain when choosing your stain color. Remember that the wood in your home doesn’t have to all the same type and color, but they do need to work well together. After a few days of seeing the large samples in their home environment, most of our clients have a much easier time of making their final choice. But What if I Still Can’t Decide? In some special cases we have clients who still can’t decide between 2 similar colors on the sample boards and are wondering what a blend of both might look like. Or maybe they would like to see a lighter or darker shade of a certain color. 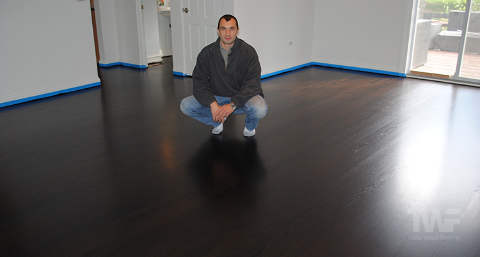 In these situations we are happy to put some actual custom mixed stain samples on the actual hardwood floor itself. 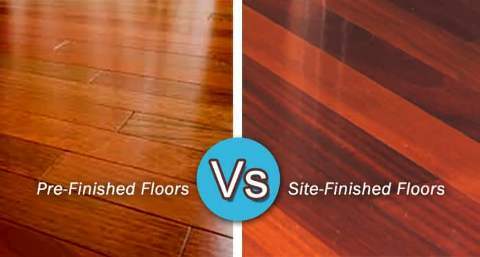 We can sand an area in one of your rooms and apply the custom mixed stain colors side-by-side so you can easily see the difference between them. That way for certain you’ll have the exact color you were looking for. Usually this last step is not needed but we are happy to offer it to our clients to make sure they’re 100% satisfied with their final choice. Once the difficult decision of color choice is made, the rest is looked after by us. 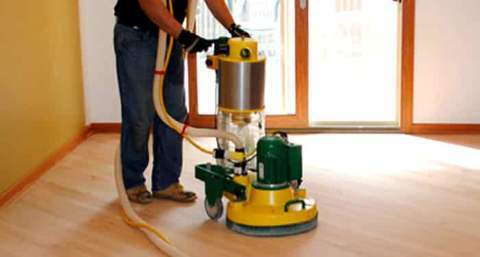 We’ll prepare your floor for staining using the detailed steps you can read about here . 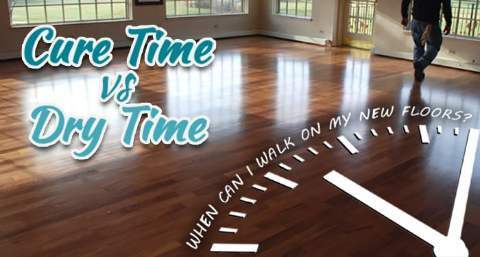 Then your newly stained hardwood floor will be coated numerous times with one of our top of the line finish systems to properly protect it for many years of enjoyment. For a more in-depth article about choosing a stain color you can download the PDF article “What Color Should I Stain My Hardwood Floors?” here . Hi Tadas. 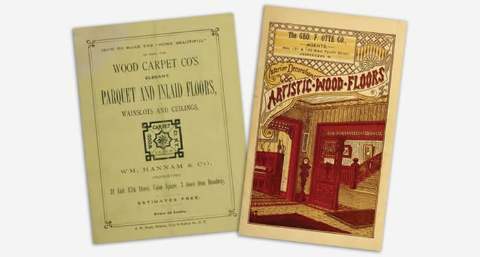 We are in the middle of choosing a color to stain our oak hardwood floors and your articles have been very helpful. I just wanted to let you know that and say thank you. Thanks for the help anyways and I hope business is good for you. I’m glad I was able to help from way over here. 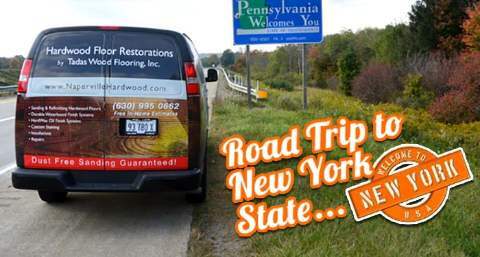 Good luck with your hardwood floor staining and refinishing project. I hope you love the stain color you end up choosing. Mighty useful, I appreciate it. Thank you for your compliment about our work too, that made our day. And yes, we’re staying very busy over here – too busy in fact! Good luck with your stain color choice, I understand why it would be a tough decision. I hope they turn out great. Short, sweet, to the point and free – exactly as information should be! Thank you for the post, very helpful. Have you ever seen or done a house where each room has a different stain colour? 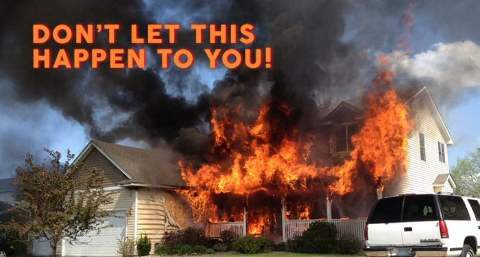 We haven’t had that request personally. 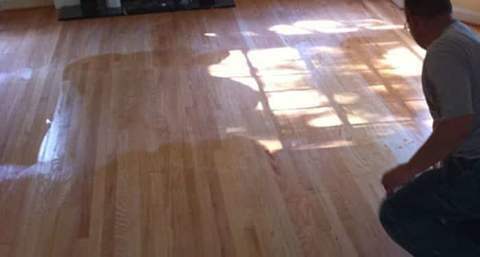 I’ve seen a floor in a show room that had a floor with different stain colors but usually this is done with different types of hardwood, not stain. You’re welcome Greg, glad to be of help. Thank you for professional assistance. & the stain in 2nd column BOTTOM board ?? Sorry for the delay, I overlooked your comment and I do apologize. I’m pretty certain the colors are English Chestnut and Special Walnut. The brand is Duraseal. In the samples on the floor, what stain is the last one in the first column and the middle one in the second column. Thanks for your help!! I’m not exactly sure because these were samples from 3 years ago and the computer screen doesn’t show the colors accurately. I think it is Early American for the first and a blend of Early American and English Chestnut for the second one. Sorry I couldn’t be 100% certain for you. Love, love your blog! 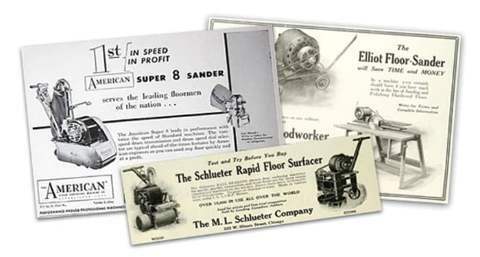 We are in the middle of our first DIY floor project and I wish I would’ve found it earlier. (Our floor looks like a small patchwork quilt with stain choices…boards would’ve been easier and more helpful) This is slightly off the stain choosing topic…however, we are planning on finishing sanding tomorrow and don’t know which grit to end on. Some say 80 and others say 100. 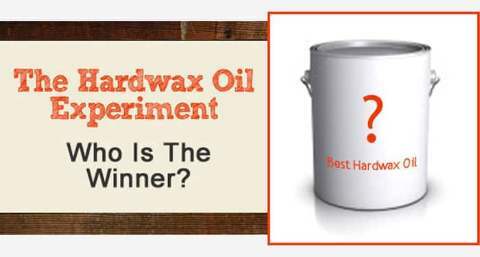 What would be the difference in quality and appearance of stain? 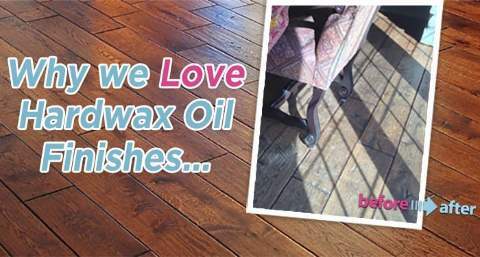 Thanks so much for sharing your knowledge with DIY-ers like us! You have probably finished your floor by now, sorry I didn’t have time to reply earlier. We’re in the middle of our busiest time of the year and I don’t get as many chances to reply to the comments as regularly. To answer your question, you can finish on either grit but which one we choose depends on a few factors like the type of wood, the cut of the wood, the condition of the floor, stain choice and whether you intend to water pop your floors or not. 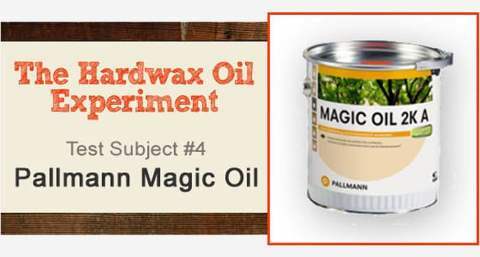 I think for DIY’s it’s probably best to sand up to 100 grit and then water pop before staining. 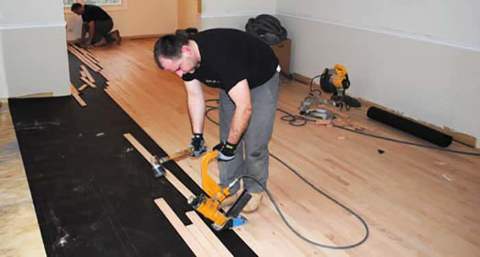 That will ensure most of the scratches from the edger are removed. I hope the project goes/went well for you guys. We’ve purchased an old English Tudor and the oak floors are beautiful but worn and need some love. 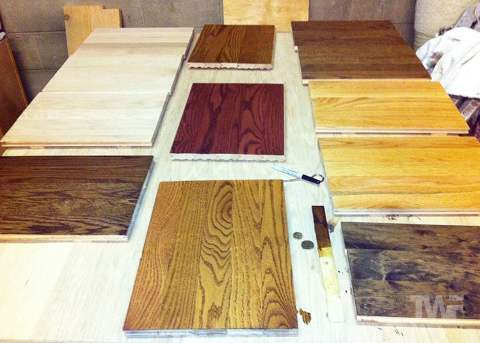 I’m leaning towards the expresso/Jacobean in hopes the natural oak color combinations will blend and pop. Plus the dark wood is beautiful in an English Tudor. We’ve been gathering information on DIY like squirrels gather nuts for the winter, it wasn’t until this blog, which helped us feel confident enough to go forward and prepare for this huge DIY project. Thank you all for the wealth of proper information. Many blessings for the company’s prosperity. 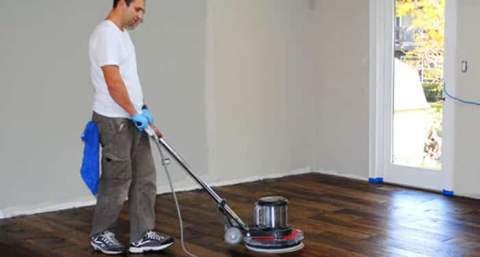 Hi I have oakwood floors and I have alot of black stains in the floors. 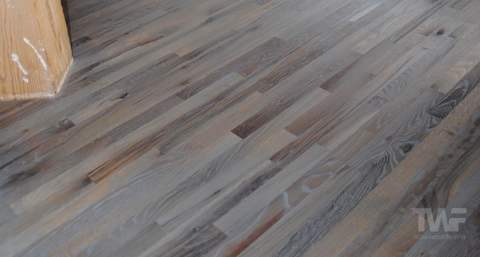 Right now I’m thinking about staining them but I really wanted to stay natural look for a lighter floor. If i do stain them what color should I stain them? I was thinking cherry wood myself? Are the black stains from pet urine or water marks from planters? 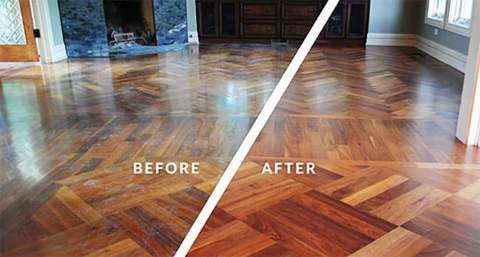 If so then a cherry colored stain won’t cover them as they are most likely all the way through the wood. If they sand out then yes cherry would look nice. 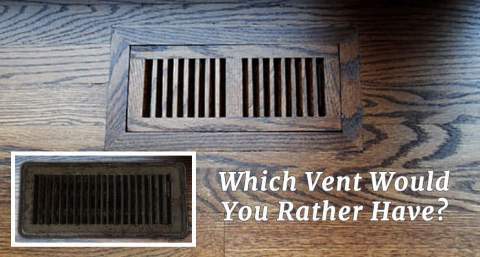 If not, then you have a choice of either replacing the stained boards or staining the floor a very dark color to hide them. Choosing between Dura-seal Dark Walnut or Jacobean on Red Oak. I have pretty good size sample boards but still stuck. My family sees yellow/orange in the Dark Walnut (I think is out of style) and they see green in the Jacobean (green, really?). Do you see these under tones in these colors as well? 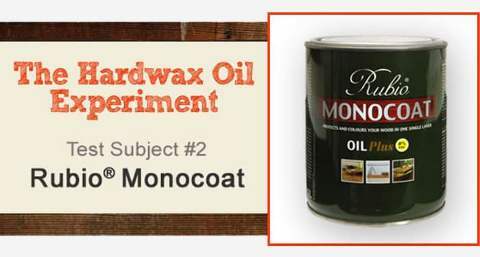 Are folks using a lot of the Dark Walnut stain color? Can’t say I’ve seen green in Jacobean myself. It most likely has something to do with that particular piece of wood. I would take a guess and say the sample boards may be white oak. 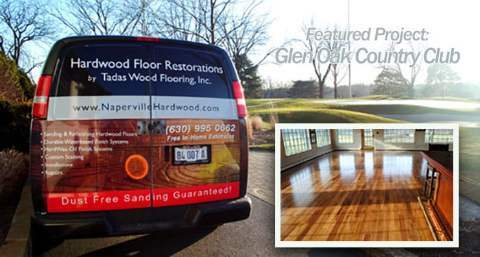 If so, it’s better to do a sample on red oak like your floors. To answer your question, yes, Dark Walnut is still a popular color. I think it will be for some time yet too. Great website with some extremely helpful info. 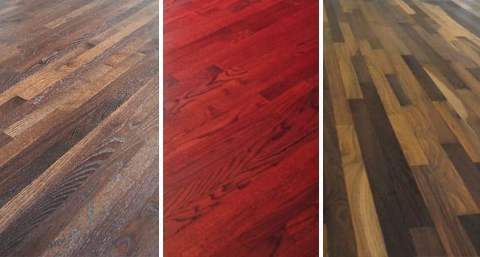 Quick question – we have been trying some Rubio color samples on our red oak floors and have found the oak (tanins) tends to bring out more oranges/reds. Have you had any luck finding a light-medium brown color without these tones coming through. 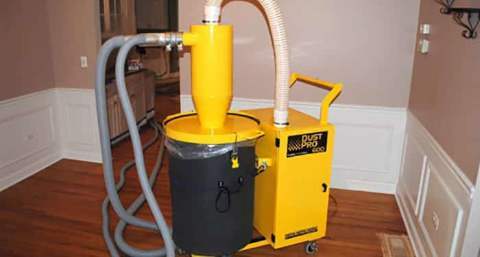 The best way is to fume first. 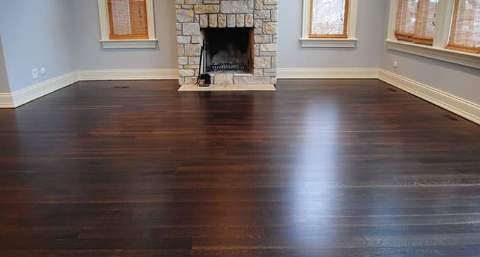 Castle Brown is a good medium brown color that looks good on red oak.